IPS e.max® is an innovative lithium disilicate glass – ceramic. It’s an all ceramic restoration that is highly aesthetic. The IPS e.max® material offers wonderful opportunities for the fabrication of lifelike restorations that delivers reliable, long term results. 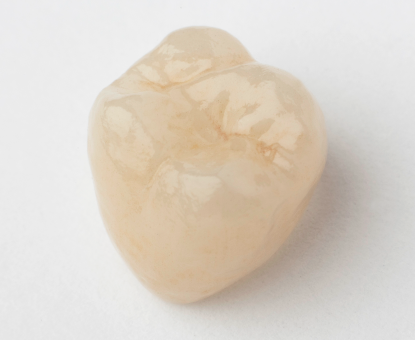 The material is highly translucent and is very versatile as it can be used on many different types of restorations such as inlays, onlays, veneers and crowns. Designed using state of the art CAD/CAM technology the IPS e.max® material is resin printed and then pressed in a monolithic form. IPS e.max® offers an extraordinary combination of both strength and aesthetics. Because IPS e.max® is a monolithic restoration it elimates the need for framework and therefore offers a limited preparation requirement and no risk of delaminating of porcelain. Process Resin Printed using CAD/CAM. Pressed tinted and stained.